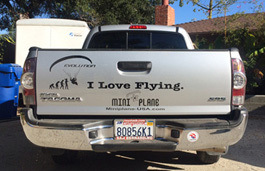 Introducing Vinyl Stickers for your Car, Truck or Trailer! 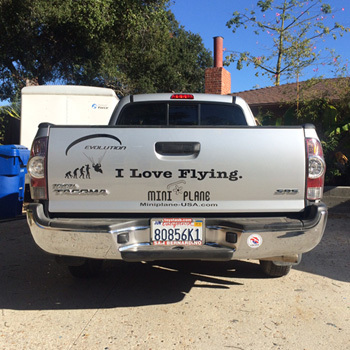 • Exterior grade paragliding large vinyl decal - "I Love Flying." 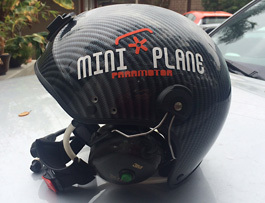 • Large Size measures approx 28" x 9"
• Small Size measures approx 12" x 5"
• If you are a fellow Miniplane Paramotor Pilot, let the world know in a fun and striking way with this attractive design. • Available in either WHITE or BLACK colors in two sizes. 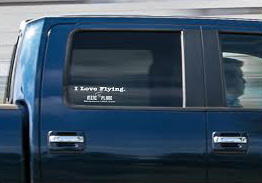 • Made of a high quality exterior grade vinyl designed to last for several years without peeling, cracking or fading. • Please note: This listing does not include the "Evolution" vinyl sticker shown on the left of the tailgate below, but this is available in our eBay Store! 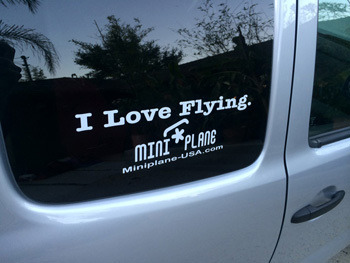 I Love Flying Vinyl Car Stickers- Price includes FREE SHIPPING! 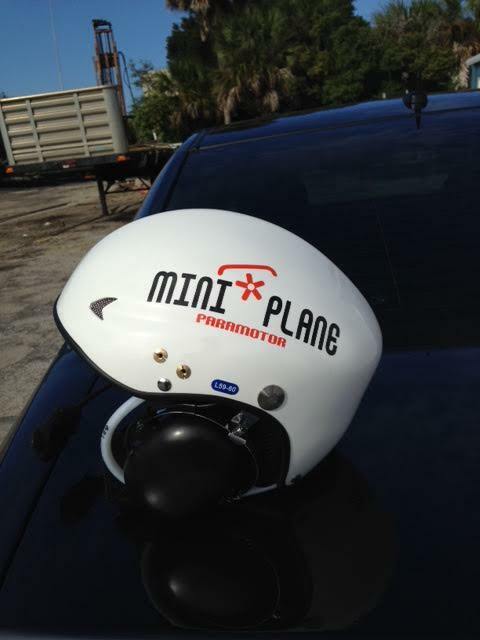 Introducing Vinyl Stickers for your Helmet! • Available in Black/Orange or White/Orange for light or dark helmets. • Measures 6" x 2.5". 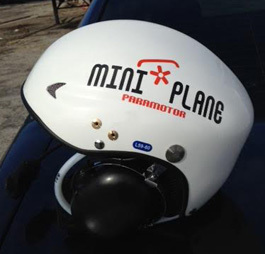 Miniplane Helmet Stickers- Price includes FREE SHIPPING!